The best place to sell! Gold Coast Jewellery Loans not only offers amazing loans at competitive interest rates but we also buy gold. As one of Australia’s leading gold brokers, we offer the best payouts for your old gold. Got an old gold watch lying around? Want to get rid of that failed engagement ring? Call us on 1300 88 79 02, contact us via our website or visit our store today to get an expert evaluation of your gold items and get offered the maximum payout on the spot! We make sure that we regularly have our gold equipment checked to meet the Government Standards as provided by the Weights and Measures Department. When you come in, ask us how to check that that your gold is being weighed and purity measured with calibrated and tested equipment. Our years of knowledge and experience in gold valuing and buying puts us well ahead of our competitors! See us today to turn your unwanted gold into cold hard cash! I still can't believe the amount I was able to loan. After getting a couple of black spots on my credit history I thought I would never be able to get a loan again. 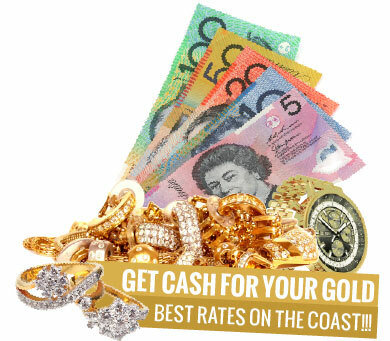 Gold Coast Jewellery Loans proved me wrong!" Our customers can easily sell their gold and receive the best prices here on the coast, or at any of our stores which are conveniently located across Queensland. Our Gold Coast store is our most popular location for our customers to not only get the best loans but also to sell their old gold. Leave Us a Google Review, Tell Us About Your Experience and Be Rewarded. Thank You for Helping Our Business Be Better, and don't forget to mention it on your next visit.